The OntoLex W3C Community Group has been working for more than three years on a shared lexicon model for ontologies, called lemon. The lemon model consists of a core model that is complemented by a number of modules accounting for specific aspects in the modeling of lexical information within ontologies. 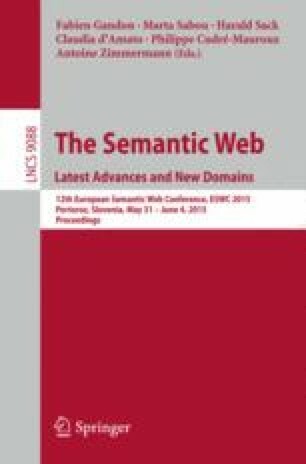 In many usage scenarios, the discovery and exploitation of linguistically grounded ontologies may benefit from summarizing information about their linguistic expressivity and lexical coverage by means of metadata. That situation is compounded by the fact that lemon allows the independent publication of ontologies, lexica and lexicalizations linking them. While the VoID vocabulary already addresses the need for general metadata about interlinked datasets, it is unable by itself to represent the more specific metadata relevant to lemon. To solve this problem, we developed a module of lemon, named LIME (Linguistic Metadata), which extends VoID with a vocabulary of metadata about the ontology-lexicon interface. This research has been partially supported by the EU funded project SemaGrow (http://www.semagrow.eu/) under grant agreement no: 318497 and by the EU funded project LIDER (http://www.lider-project.eu).